Shelf Subsea is always seeking suitably qualified diving, technical and supervisory personnel, for ongoing contracts. It is mandatory for all employees to complete pre-employment screening. For all positions this will include a drug and alcohol test and proof of your ability to work in Australia (for Australia jobs), and proof of your identity. If you are a permanent resident in Australia and you are interested in applying for a position, send your resume to contact@shelfsubsea.com. Shelf Subsea recognises the importance of training and competency assurance and has procedures in place to ensure that all employees, contractors and visitors are provided with safety critical training to undertake their assigned duties safely. Shelf Subsea has an induction program for all personnel, including management, which is based on their likely risk exposure and provides relevant instruction in the organisation’s health and safety policy and procedures. Shelf Subsea consults with employees and clients to identify training needs in relation to performing their work activities safely. 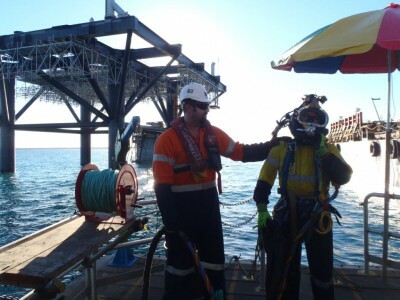 Shelf Subsea trains personnel to perform their work safely, and verifies their understanding of that training. Training and assessment is delivered by certified trainers and assessors who hold current qualifications (TAE 40110) and have the appropriate knowledge, skills and experience to deliver the training. Training is delivered internally, externally (third party providers) and through the e-learning platform.